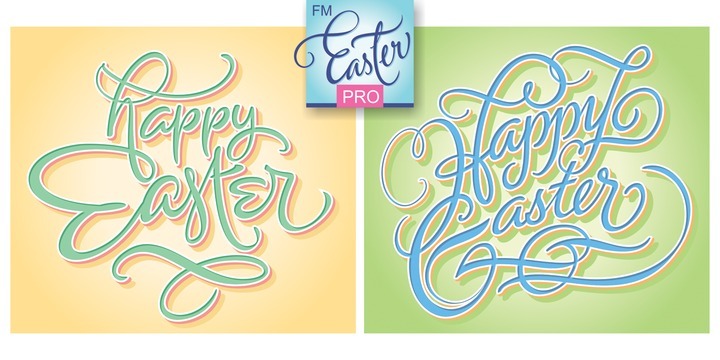 FM Easter Pro is a calligraphic handritten typeface created by Jordan Jelev and published by The Fontmaker which comes in 26 hand-lettered Easter greetings perfectly for your projects. Happy Easter! Price: one font for only $24,00. A font description published on Monday, April 25th, 2016 in Fonts, Jordan Jelev, The Fontmaker by Alexandra that has 2,103 views.